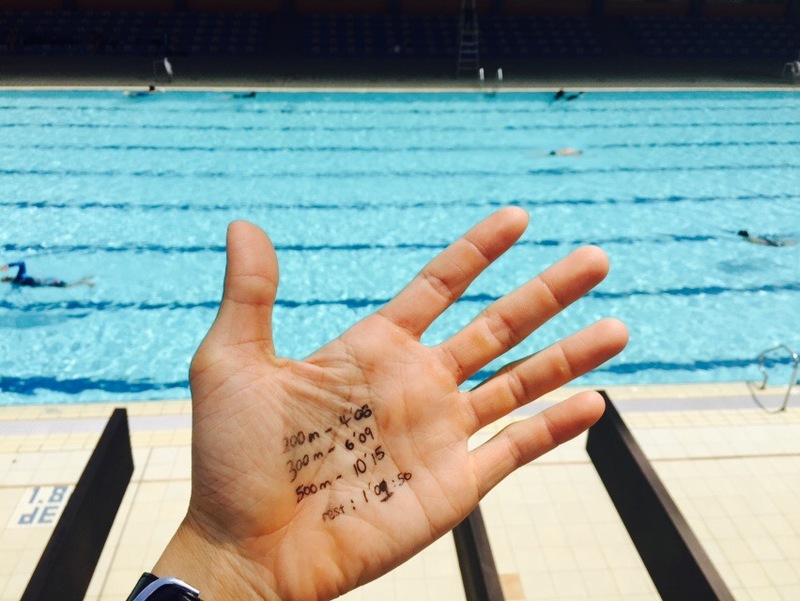 Swam the 200 & 300m too fast… 500m was 12sec slow 😔 should I invest in the Finis Tempo Trainer Pro help me pace my workouts? Think it can be used for other endurance sports like running/biking too. This was to make up for the Met-Con workout I couldn’t complete 2 days ago. Could only manage 15 Burpees straight before lactate threshold was reached. Will have to work on those Burpees! Also starting to train my shoulder strength for handstand push-ups. One step at a time!